Low combined product weight of 643 grams&lighter than the Endolite/Blatchford Multiflex! With the flexible keel of the Earthwalk 2 Foot and the stability provided by the Earthwalk 2 Ankle, low-activity amputees can move around with confidence. Our high-tech look eliminates the stitching and provides a stronger bond. 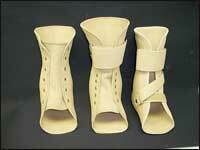 AFO Pads can be ordered in beige or white. Our three sizes: 1-in., 1 ½-in., and 2-in. are sealed in packages of ten. 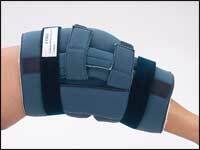 Also available in packs of five, our AFO Strap Kits include our new pads which will enhance your patient's comfort and add to your convenience. Priced at less than conventional stitching. A new Pediatric Plantar Fasciitis night brace, manufactured by BOLT Systems, is now available from PEL Supply. According to BOLT, the new night splint features adjustable dorsi-assist straps, as well as a non-slip pad for walking. 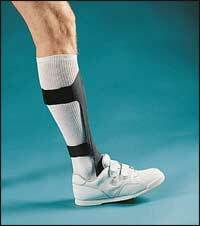 The liner is washable, and the universal brace will fit either left or right leg. Contact PEL for information on the Pediatric Plantar Fasciitis night brace, or any pediatric products from BOLT Systems. The functional advantages are a 75-percent reduction in pinching, bunching, slipping, sliding, rotation, pistoning, and having to remove the prosthesis to recover the limb sock. The garment helps decrease skin problems caused by ground reaction forces transmitted via two separate garments. SPS Ready to Ship Original Toe-Off to You! You can order the ORIGINAL ToeOFF® from SPS. Distribution agreements with the current manufacturer of the ToeOff assure SPS has full availability of this unique product for all US customers. The Original ToeOFF is a thin, lightweight carbon and Kevlar®- reinforced Dynamic Response Gait Rehabilitation Orthosis. It has helped tens of thousands of people cope with footdrop evidenced as a side effect of stroke, multiple sclerosis, polio, and other neurological illnesses. ToeOFF® differs significantly from other products designed for footdrop. The open-heel design and anterior approach facilitates a more normal biomechanical chain reaction, reducing stress on proximal joints. OrthoLux" from Hope Orthopedic, distributed by SPS, is a patient-friendly LSO/TLSO producing better outcomes through increased compliance. Its moldable Kydex® inserts in anterior, posterior, and side panels can be reshaped with a heat gun for sagittal and coronal spinal control. ConformableSeven sizes may be mixed and matched for best possible fit. Unisex version comprises male back and female front for near-universal fit. Excellent ControlAnterior and lateral bending tests demonstrate significant reduction in both sagittal and coronal motion. AdaptableFour styles of Extender", a low-profile TLSO add-on, are available for applying high-profile sternal or pectoral pressure as needed. Evolution Liners Now Distributor Free—You Can Buy Direct! To celebrate, all orders are 25 percent off* for a limited time. 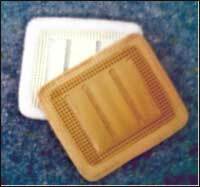 Evolution custom liners can be made from a negative cast, positive cast, or AOP file. Designed by a certified prosthetist, standard liners are made in three business days. Different thicknesses and designs are available on request. Available in cushion and pin configuration, Evolution Custom Liners are made from a unique medical-grade silicone that keeps them fresh and odor free. SPS introduces the new line of medipro knee joints. The OH5SF is designed for multi-speed ambulation and higher impact levels. 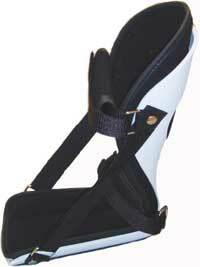 It employs a geometric lock making it virtually impossible to collapse in full extension during heel loading. NEW IKF Adapter provides adjustable stance flexion without activating knee joint function. OH6SF offers the same features for amputees up to 300 lb. 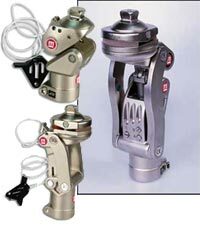 The OFM1SF knee offers adjustable stance flexion in a 4-bar polycentric joint design with swing-phase control for either manual friction OR manual locking. OFM2 is a 425-gram monocentric knee for use both as a locking joint with manual release and a free-swing knee joint. Freedom Innovations now offers the Pacifica" LP Prosthetic Foot, a new and improved addition to the company's Freedom Series" line. The Pacifica LP Prosthetic Foot offers the same great features as the original Freedom Series FS 2000, in a lower profile design with less than 2-in. of clearance required. The split-toe carbon fiber design is ideal for K3/4 level amputees with long residual limbs seeking a dynamic energy-returning foot that is lightweight and durable. Freedom Innovations offers a 60-day No Risk Trial Period and a 36-month warranty on the Pacifica LPProsthetic Foot. Freedom Innovations offers its most affordable advanced prosthetic solution to date, the Senator" Prosthetic Foot. The Senator is a lightweight, economical, energy-returning foot that shares composite engineering features with the company's advanced Freedom Series prosthetic foot products. Truly sophisticated simplicity at its best, the Senator is designed for low to moderately active K3 amputees. The foot is not pre-bonded to foot shell, unlike other products in this category, allowing clinicians to easily access the foot module. The Senator is sold with a 24-month warranty; the foot cover has a six-month warranty. The Senator also is distributed through SPS; call 800.767.7776.
cosmesis, incorporating a unique seamless finish. SKINERGY provides improved tear resistance with up to 25-percent stretch, accommodating even bulbous sockets. Besides regular finish, SKINERGY is available in enhanced "True Finish"--a unique process featuring micro-pigmentation embedded within the silicone layers for added depth and realism. SKINERGY for both split toe and closed toe designs is available in a range of 12 color shades; nails can be hand-painted to complete the realistic finish. With many new products on the market today, keeping up can be difficult. We want to make it easier for you to use and understand our products. For those using central fabrication services, we are establishing the Coyote Certified Fabrication Network. We are teaming up with the best fabrication companies in the business and providing exclusive training and updates on our products to ensure they are very familiar with their use and fabrication. Their abilities, along with special training and updates on our products, allow them to guarantee the highest quality fabrication with the highest quality products. CareCredit® has developed a new, revised patient presentation chart to make it easier for enrolled practices to present financing during the discussion of fees and payment options. Featuring a fresh new look and feel, the new patient presentation chart provides details on CareCredit's popular No Interest and Low Interest Payment Plans, including estimated monthly payment examples that patients can use to determine the plan that will work best for them. The presentation charts are available to enrolled practices at no cost and are a part of CareCredit's practice resource center, which includes promotional, marketing, and patient education materials. 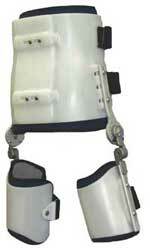 Ongoing Care Solutions/NeuroFlex Inc. offers a complete line of orthotics, including the COKO Orthotic Knee Orthosis! 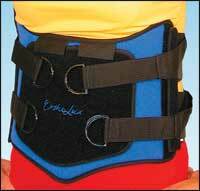 Available in Small, Medium, Large, and Extra-Large, the COKO Knee features removable/inflatable bladders, which provide low-stretch therapy. The removable KWIK-SET" flexion/extension hinges control and maintain desired degrees; an optional knee cap control pad is available. The COKO Knee is SADMERC-approved for Code L-1847. 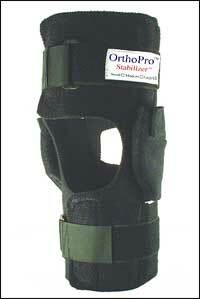 The NEW ORTHO PRO" STABILIZER" Knee Orthosis! This new design is an ambulating neoprene knee support and features breathable neoprene with front wrap closures for easy application. KWIK-SET" hinges allow for full ROM--no tools required. Suggested HCPCS code is L-1832. The improved Maple Leaf" Orthosis offers a re-designed, anatomically contoured proximal section to provide greater control of the lumbar spine and pelvic region. The improved pelvic design also allows for ease of adjustability. The hip joints have been offset to provide greater clearance, while the updated thigh cuffs provide greater leverage for abducting the patients hip. In addition, the new Maple Leaf is now offered in extra-small to accommodate the smallest of patients.